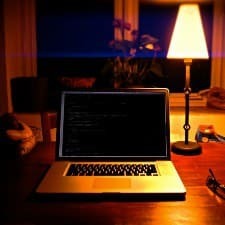 Does your boss send you emails at all hours? 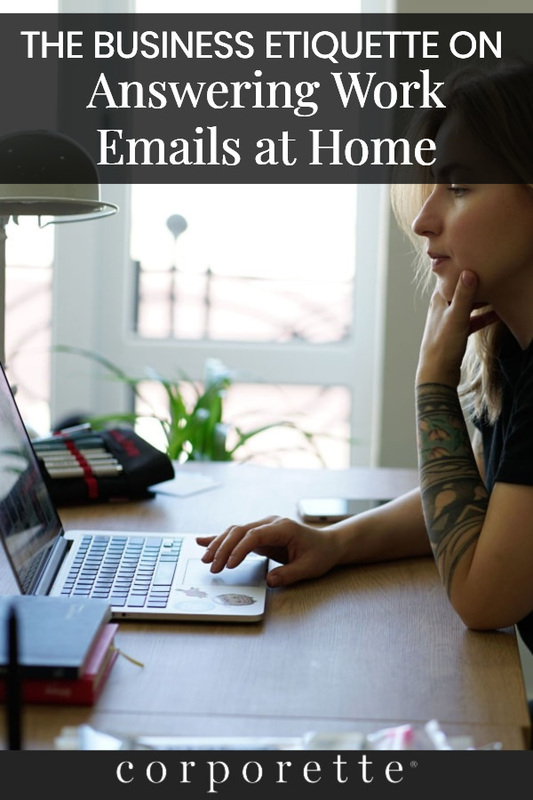 Are you expected to respond immediately to answer work email at home — either in a clear “policy” way or in an unspoken, pissy-but-won’t-tell-you-why way? Do you try to draw a line in the sand and purposely not reply during certain hours, even if you get the email? If you’re a supervisor or boss, do you make an intentional effort to not send email during nights and weekends? I’ve seen a lot of friends and readers bringing up this issue lately, so I thought we’d discuss. Psst: we’ve talked about conveying tone in email, as well as all about replying to faxes via email in the past. I recently witnessed a senior associate at my biglaw firm get chewed out by a partner that I also work with for not answering the phone (or an email, can’t remember) at around 9pm. Apparently, his daughter had his iphone and was watching a movie on it before bed. I also spoke with someone lately who is in house counsel who said her expectation is that outside counsel answer emails at any time of day. Fortunately, I don’t get tons of emails at night, but I am expected to respond as soon as I see an email, whether that is at night or in the morning. I agree that it is not the best excuse, and I should have clarified that this was a non-emergency situation where no deals were going on and the associate didn’t anticipate getting a call. To me there is a line between “not doing your job,” and unreasonable expectations. Is it reasonable to go to bed at 9pm when there’s no big project with strict deadlines that you are working on? I also understand that biglaw is it’s own beast (and we are highly compensated), but at the same time, I wish there was some level of human decency involved where if its just a partner who wants to talk about an issue (non-emergent), they could wait until normal hours and save the late night calls for real fire drills. Nope. Not when associates start at $160k. Not when the $1k hourly rate has been smashed. You’re not paid the big bucks for 2000 hrs/yr or even 2700 hrs/yr. You’re paid the big bucks for the client (and partner) to have an option on ALL of your time. That responsiveness is part of the deal. Don’t like it? Go someplace where you make less money. Oh please. That attitude is not sustainable for a long-term career. And $160k isn’t what it used to be; not in the days of $200k student debt at 8.5% interest. Geez, Anonymous at 2:39, that is terrible. Glad I don’t work for you at my big law firm. $160 is not enough for that. #1 to Anonymous at 2:59 pm. There is absolutely no way anyone can survive for years working 100% of the time. In my experience (mid-level biglaw), I know that I need the night to refresh my brain and rest up for the following day, or I’m no good to anyone. Anonymous at 2:39 pm’s attitude is one of the many reasons why I believe law firms as a general rule are not sustainable, and will need to be restructured significantly in the next 5-10 years, because people will simply leave. And having good people leave because of attitudes like Anonymous at 2:39 pm is not good for a firm. Srsly lol. Echoing the “glad I don’t work for you at my biglaw firm” sentiment. $170 isn’t even enough for this – I’d leave in a hot second. Kid should not have been using it if it was a firm-provided device, but if it was not, don’t see an issue here. If firm wants constant access, firm should issue a work-only device. I like the sly insult to in house lawyers by the way. I can’t tell you how many outside counsel have been shown the door because they like to make snide remarks about how in house counsel is lazy. If you think we can’t feel your condescension, you are wrong. I’ve also fired outside counsel for this. You might think I’m lazy, but I’m the one who hired you and pays your bills, so bye. Ok I am in in-house counsel. That’s insane. I treat outside counsel the same as my internal colleagues. If it’s an emergency (and not a fake emergency, a REAL emergency), I need immediate response. That happens….mmmmm maybe once a year. Otherwise, just respond in a reasonably timely manner. And take vacation and holidays like a human being. That’s just a nutty expectation to have. Why do people do this to each other?! At my firm people who don’t answer after-hours emails/phone calls in a timely manner find themselves with no more billable work to do. The mentality is that if a partner is willing to work all hours of the night, who do you think you are to refuse to support that work? Tell me about it. We are ALL outfitted with iphone’s, Ipad’s, macbook air’s, and we are all expected to be on call 7 day’s a week, usually until mabye 11PM. We are OK NOT responding to a text or email sent after 10 or 11, but we had BETTER be ready the next morning to deal with whatever. Frank is the ONLEY one that does NOT have to deal with this b/c he is the CFO and just does the bills and pays the bills. I supose this is the way of the world, b/c my other freinds from law school are doeing the same thing. The ONLEY execption is my freind Rhona who work’s for the goverment. She works 9-5 and has NO on line contact once she leave’s the office. I wish I took her job, but she makes about 1/5 of what I do, so I guess there IS a tradoff. FOOEY! I want to have it both ways. Not alot of work, but decent money so that I can retire to a life of leisure after I find a guy to MARRY me. Why can’t I have that? DOUBEL FOOEY! Re: the partner working all hours of the night – typically that’s because the partner has been out on the golf course all day with his buddies and he started work at 6 p.m. while I’ve been working all day. If you want to start your day at 6 p.m., great, do what works for you. But I will be responding to your 2 a.m. emails when I get in the office at 9 like the rest of the world. Hand to G-d, this is not true for me (biglaw finance partner). Maybe it is for the person (male) who is a decade or two older than me. At my firm (in the gold-laden southeast), the biggest golfers also work 3000 hours/year or are semi-retired guys in their 60s who do not care when you reply. Not in law, but isn’t the golfing thing how new clients are brought into the firm? I used to be in sales and “entertaining” clients and prospects is part of the job and it’s really not that fun because you have to spend a lot of time with people you might not like that much. I envy the guys on the golf course with clients as much as I envy the people who sit in first class on the plane because of their frequent-flyer status, that is, not at all. You have to suffer a lot to be in those positions. I answer emails and phone calls immediately or as soon as possible. I find it annoying when associates do not respond quickly to me on weekends. I dont send or expect responses to middle of the night emails (absent some sort of an emergency), but I dont think expecting a response in the evening or on a weekend is a big ask. I am all about efficiency, and I find it extremely inefficient to have to wait hours for a simple answer to a quick question. That’s the thing: how many simple questions are there? If it is a yes / no thing that you know off the top of your head, it seems passive-aggressive not to reply. But 99% of the e-mails I get that aren’t of the FYI / deletable variety, actually require a lot more than that. So…. if I’m out hiking and you send me a “quick question,” (lol like there are so many “quick questions” in law) what am I supposed to do? Or if I’m horseback riding, or at the park with my kids, or volunteering somewhere….or is the answer simply to never do anything in life that could take you away from your phone and a computer for more than 20 minutes? Gross. If it’s a simple answer to a quick question and you’re working on a Saturday evening, maybe look it up yourself if waiting for someone else to do it is impeding your progress that much. Obviously I’d change my tune if it was an actual emergency, but good grief. Running my entire life around the possibility of getting an email (when no big deals are happening) is how you burn out. Well, in fairness, I know they are not hiking. or horseback riding. Very small firm and we are very close, so it is more of a passive aggressive thing. Also, I have a lot of quick questions. Like, can you participate in a meeting at x time? can you cover >>>? It was very clear at job offer time that responsiveness is required (unless you are horseback riding, hiking, at a wedding, etc., but if you are watching tv at home, then yes, sorry, its required) and there was no objection whatsoever. In fairness, you also are talking about questions that can wait until morning. Why do you need to know RIGHT NOW at 9 PM on a weeknight, or 2 PM on a Saturday, that your associate can participate in a meeting? If it’s a meeting with the client, the client probably won’t be looking at email until the morning anyway so a morning answer from the associate is fine. Plus, as others have mentioned, clients don’t always want to hear from you at odd hours either…so maybe just put down your phone and wait. Amen. As one of your “clients,” I don’t want to hear from you at 2pm on a Saturday or 7pm on a Friday, and if I get your email at that time (as I don’t necessarily check reliably on off times if its not an emergency), I am going to roll my eyes and not respond until Monday morning. Perhaps you are the same attorney who likes to call and take 30 minutes of my time to pad the bill when a 2 line email would have sufficed? Maybe you should consider how your firm culture got to be such that associates are being passive aggressive to partners, with whom they are purportedly “close.” You really have no idea how your employees are actually spending their spare time. I can see responding to an easy yes/no scheduling answer, but that’s certainly not how you made your “ask” sound in your original post. How about checking my calendar using the scheduling assistant function to answer this question? If the space is white, I am available. If it is blue or purple, I am not. There’s also a difference between ignoring the email and not answering the question. If I was horseback riding – or an actual example, skiing – I’d periodically check my blackberry (i.e., every 2-3 hours, at lunch or whatever) and if I got a question I couldn’t immediately answer, I’d let them know – “sorry I’m away from my computer at the moment. Can I get that to you later tonight?”. I found simply being responsive alleviates a lot of this. It’s much less stressful on the sender’s end to at least know you saw the email and will attend to it. But if it’s not an emergency, why does it matter so much? Can’t it wait for Monday morning? I also don’t understand the expectation to respond immediately in non-emergency situations. I check my email immediately after I shower or even after s*x (!) because I’m paranoid I’m going to get some email asking me an inconsequential question that could wait until Monday precisely because of the expectation of “responsiveness”. Good managers (who live full, joyful lives) understand people don’t participate in 20 minute activities – they actually want to and are entitled to have lives. Why can’t lawyers be more kind to each other? I recently started being more mindful and I have to say, it feels so so good to be kind to and supportive of my junior people. It makes this crazy corporate law job that much better. I am an associate and I have recently changed my phone to remove the little red dot notification for new work e-mails and turned off the sound. So I have to click the e-mail now to see new e-mails after hours. I find the new e-mail makes me just as anxious as opening it fewer times and seeing 30 new e-mails. But I could have 20 files sitting in my office and that doesn’t stress me out. Unanswered e-mails drive me crazy. So yeah, I want an immediate answer and I probably never go more than an hour, except when sleeping or maybe twice a year when I see a movie, without checking it. It’s a work phone for what it’s worth and it’s my only phone. I don’t pay the bill at all. Although I doubt that I would be expected to automatically reply, I definitely get more clients, keep more clients, and get better assignments by responding to things fast. I’m a lawyer in public accounting and I’ll say this — people are expected to answer emails timely, but timely certainly doesn’t mean immediately. My schedule is such that I leave the office to get home for dinner with my son and then typically log back on later after he goes to bed. I have colleagues who prefer to stay at the office later and then be done for the night. I always tell my team — just because I’m sending you emails at 10 pm doesn’t mean that I expect you to respond. That is just the time where I happen to try to get some more work done. Vacation is the same way — if one of my team members is on vacation, I try to keep emails to a minimum — cc’ing when appropriate but not demanding a response. It gives everyone a bit more work/life balance — one of the reasons that I left biglaw in the first place. Biglaw associate here. I am expected to answer client and senior associate emails at all hours and on nights and weekends. If I am for some reason out of pocket (on a flight with no wi-fi) I need to let the entire deal team including the partner know in advance. Which makes travel on long weekends awkward/difficult. My main boss (a very senior associate) who had absolutely no interest in differentiating between working hours and non working hours and who would expect me to check agreements and send precedents etc. for non-urgent deals at any time of the night or day including at 10 PM on a saturday quit and my bosses are now people that are interested in having weekends of their own. As a midlevel I can say I get pretty annoyed when my juniors don’t answer emails promptly after hours unless it’s a ridiculous hour of the night. It is the job and you are the juniormost person on the team. I don’t think it’s unprofessional to send emails at 3 AM. It is getting the job done. As in- house attorney, I actually get annoyed when I see that outside counsel has responded to something at an unreasonable hour- say 3 am or on a Saturday night. If I ask a question and I need an immediate answer, I will let you know when I ask the question, but otherwise, I would rather have a well-thought out, well-reasoned response that took a day or two rather than something you rushed to get to me at 3am just to show that you could. There is little to no value added in this practice. That’s not necessarily the case — there were plenty of times in my biglaw days when I’d be working on something urgent that pushed back all my other deadlines. The 3 a.m. response wasn’t because I was rushing to get something out just to show that I could, it was because that was the only time I had to focus on this client. +1. I don’t reply to the email until I have all my ducks in a row. If doing so means I have to gather some more information, i.e., from others, and it starts to take too long (depending on the client, urgency of the question, etc. ), I may email back just to say I’m working on it. I think you are causing yourself to be annoyed. Understandable since this is the treatment you received. But don’t think the junior associates are doing anything wrong. Coming from a former big law lawyer. I trust all of you “Answer Me NOW” folks make allowances for religious observance? I can’t imagine the EEOC believing that 24 hour availability is a critical function of a job, when it didn’t used to exist as an option and law still happened. There are a lot of observant Jews in biglaw who do not work on Shabbat. I am not sure how they make it work, but many of them do stay in biglaw. At my small firm several of us do not work on Shabbat (but we don’t have any expectation of constant email availability either; I stop checking email sometime between 9 and 10 pm every evening and do not check between 5-7;30 pm either). Aaaaand now I remember why I never sought a job in big law!! I was just thinking the same thing. God forbid someone reply to a 10pm non emergency email at 8am. Yup, this. Me too. I have push notifications turned off on my phone, and my whole team has a policy that if there is an emergency blowing up in email (and it has best be a “our building caught fire” type of emergency) we text each other. If its something too long for a text, the message is one line plus the words “check your email for details” and whether we need to respond immediately or if it can wait until the next business morning. But I am definitely not in BigLaw, 80% of my job requires physically being in my office, and my company is huge on work/life balance – everyone senior here left higher paying (but not BigLaw!) jobs to work here knowing that the expectation here is a true only 40 hour work week, and the only reason to work nights or weekends is if you are flexing time to not need to take PTO. I should also add that although we have customers on the West Coast, my bosses have actively trained them that we don’t generally check or respond to emails outside of our business hours, but that if they send emails after our office is closed we will respond the next morning so they have a message waiting for them when they get in, and if it’s a true emergency they should contact him and he’ll relay the message. In fact, at one point when I was flexing my schedule due to sick kids and therefore responding in real time (7 pm Eastern = 4 pm Pacific) the bosses asked me to cool it or put messages on delayed response so the customer didn’t come to expect that kind of jump after our usual hours. Similarly, every so often I have a period of insomnia where I wake up around 4 am and can’t go back to sleep – so I’ll get up and start getting work done, knowing that I’ll probably be mentally useless by 2 pm. However, on those days I use delayed send to start sending at 7 am so I don’t send a “crazy person emailing at 4 am” vibe. This is me too. I think most people are just so used to feeling a sense of urgency about getting things done that they lose a sense of what’s actually freaking urgent. If I’m out of the office during work hours for some reason (e.g. at a CLE) I will turn push notifications on, but otherwise, they’re off. My coworkers have my number if they REALLY need it, but they almost never use it and they generally apologize for intruding on my time when they do. There have been a couple of occasions where actual urgency of the situation required that I break that policy and answer emails in the evening and on the weekend since I went in house, but that’s been maybe two or three times in a year and a half. It is just almost never that urgent. It really isn’t. I have never been in big law, and reading comments threads like these makes me feel like the significant difference in pay would not remotely be worth it for me. YMMV. I was never in Biglaw – but mid law in the Midwest with heavy travel and I was the occasional crazy person up for a super early flight responding to emails while waiting for the airport shuttle or in line. I remember very distinctly getting into a conversation over email with a partner at another firm at 3am one morning about which one of us was actually insane. My area of law requires some out of the pocket response times, but that’s that’s the thing with a profession. Learning when not to respond to the everyday requests in the middle of the night is the part of growth as an attorney/professional. Exactly — Are you a doctor, fire fighter, the president of the United States? If not, then there’s little reason to be on-call 24/7 for your job. Why does a lawyer need to be chained to her job all day & night? Or any executive? Many execs at my current company are like this — for a smallish tech firm, & we work in marketing, seriously, nobody will die if we “only” work 9 to 5, & the business won’t fail. I don’t understand the constant sense of urgency around what is, at root, just making money. To be fair, I’m in big law and often don’t responde to 10 pm emails until 9am the next morning. (And am a senior associate with great reviews). If it is non-urgent, my response on the weekends is often that I will do it on Monday and that approach is respected at my firm. Same! I have my phone set to only update my work email on my phone manually outside of regular work hours. I figure that if a colleague or my boss urgently needs me, they will call or text me. And that’s the way I like it. This is one of the main reasons I left my regional “big” law job – no control over my own schedule. I knew it came with the job, I just wayyyyy underestimated how miserable it would make me! I at least look at emails as I get them-if it actually requires a response immediately, I’ll respond. If it can legitimately wait, I will sometimes wait to respond. (And usually the only time it can’t really wait is if it’s about a trial that’s going on). I have a bad habit of sending emails at odd hours just because I’m a night owl, but I’ll tell people I don’t need a response. Also, if it’s a really strange time (like 2 in the morning), I’ll put emails I’m sending on a delayed send so they don’t get sent until 7 or 8 the next morning. I’m not saving lives here. Almost nothing is so important it needs to be dealt with between midnight and 7. In my Big Law days, I checked emails at nights and on weekends, and definitely let me people know if I was going to be traveling or unavailable for any 3+ hour chunk of time, even on a weekend. That said, I need to sleep 8 hours a night. I couldn’t do my job without it (in the long term, at least; I suffered through short term sleep deprivation in trial situations). I also have bad insomnia and can’t fall asleep the minute my head hits the pillow, especially if I’ve been on email right before. So I generally didn’t check my device from 10 pm to 8 am unless I had some reason to expect an email during those hours. I didn’t formally announce I was doing this, I just did it, and I never had any issues. As a Biglaw associate — I kept my phone near me during all waking hours and would look at it in less than 5 minutes if I heard a buzz, but left it downstairs on my desk when I went to bed (so, about 10-6 on weekdays). While on a hot deal, I’d obviously be sleeping a lot less, but I still didn’t take it into the bedroom. I was aided in the no-phone-in-bedroom effort by the partners I worked with the most, as they had a similar policy. Now in-house, I look at my phone maybe 2x per evening to make sure nothing urgent popped up, and 2x in the morning while getting ready. Maybe 2x a day on weekends for the same reason. I find out-of-office practices amusing. In Biglaw, I would only put one up if I was on vacation where I’d be out of cell range. In-house, people practically put one up if they think they’ll be awhile in the ladies’ room. I’m not in big law (thank god after reading this thread) but I generally answer emails if I have a quick answer or if I’m still working on whatever is going on. I try to avoid answering emails on vacation if it’s not crucial, although that bothers my boss (I don’t care – I’m not responding to non-essential emails when I take 2 or 3 days off). One of the lawyers I work with works at really odd hours (i.e. he refuses to work during the day and then insists on everyone working all night) and I’ve decided that absent an actual emergency, I won’t work and live by his schedule. So when he sends me emails at 2-3am, I usually respond first thing in the morning. Sometimes he thinks that’s unreasonable but again… I don’t really care because expecting people to respond to emails in the middle of the night is crazy. To me a lot of the debate around this seems kind of strange- but maybe its partially a generational shift? Everyone I know in my age group (early 30s) responds to work emails and calls on the weekend and evenings. Maybe not the secretaries, but all my friends who are in business. Our lawyers certainly do. All my colleagues in medicine do. And frankly, its not that disruptive. If someone needs to get me emergently they will page or phone. If they call at 2 AM, they know they are waking me up, and its typically an actual emergency (not always, but typically). If they email me, I assume it can wait a few hours. If I’m asleep the email doesn’t wake me up, so I respond once I wake up. Or if I’m busy, I’ll respond when I get a chance in a couple of hours. But I don’t get an email on Friday night and ignore it until Monday morning- and I don’t really understand why I would. The world doesn’t stop on weekends and completely checking out for 2 days just isn’t really done anymore (at least in my field). I’m actually really surprised by the number of posters who have said they do this! I think the whole philosophy of work-life separation is dead, at least in my field. I work from home all the time- and I home from work. There is no clear distinction between the two. Unless you are an hourly worker, the world seems to be shifting more and more towards this! We push back because, as my 5 year old just told me, “Mom, you are always working on your phone. Can you just play?” Life is more than work. It just is. I check email if I know something is going down and I’ll need to provide a response, but otherwise, my agency can get me 24 hours a day. If someone wants to call, they will. If they don’t want to call, it must not be that urgent. I do not have email on my phone. I do have the ability to access it via the internet browser on my phone, which i do from time to time (travelling, otherwise expecting something) but that’s it. I do check my computer in the evenings and on weekends to make sure nothing urgent has come through. Urgent things get a reply and everything else gets to wait. It has yet to be a problem, i’ve been here for years and am well-regarded. I would not be happy working somewhere that expected me to wake up at 2am to a buzzing email alert and deal with it right then, unless 1) we were talking about a hostage rescue situation or similar, or 2) you want to pay me millions of dollars. This is a very blurry area for me (biglaw partner). I leave my desk at 4 every day for kid pickup / 1 weekday kid activity. So I rely on the crackberry to get by until I’m logged in again at home at night. It’s a nice crutch to have (although I check it constantly; I do keep it on “phone calls only” so it’s not going off all the time). But I do hate it, too. But it lets me leave my desk and work a flexible schedule (so I’m doing business b/w 8 and 10 each night, but I don’t expect replies unless it’s with a team that is also on at those hours and we’re all on deadline). I don’t have any kid-used stuff on the blackberry. It’s mommy’s work blackberry and I don’t share it. It’s not a toy. I am the equivalent of a senior associate at a financial firm that is transaction based – large sums of money at stake daily. One tier above me is 100% commission-based pay. The work I do meaningfully supports commission-based folks’ deals, and there is only one of me on each deal. I love my work. For those who are on Team Check Email At Home, how do you articulate the need to do this to your friends? I am constantly (sometimes aggressively) getting challenged for checking and responding to email – being told that I’m “not saving lives,” or “if they can’t live without you they’re bad managers.” None of my friends work in finance, law or transaction-based jobs – a lot of higher ed and not-profit work. For the sake of argument, let’s assume I have good manners about checking my email and I’m not checking it during obviously bad times – not at dinner, not during movies, not during conversations, etc. I’d kill for some one-liners to just show them that, while I appreciate their opinions…. STOP (cause it ain’t changing). “It doesn’t bother me.” If it doesn’t bother you, why should it bother them? How about “this is what jobs in my industry require. It’s frustrating but it’s an expectation I would face in any job in my industry and I love some many other things about my job” — segue to interesting job story that changes topic. -if you can’t tell I don’t appreciate the question nor the implication that it isn’t necessary. I think exiting to deal with it makes it a lot more palatable. I hate sitting there staring a someone while they type an email or talk to someone else on a phone, but I don’t mind that much if they say “Oh I’m sorry I need to take this call” or “I’m sorry, I just need to check something urgently for work, I’ll be 2 seconds” and then they step away from the table. Then at least I can talk to someone else, or check my own email, or make eyes at a guy or something.. I’m not stuck staring at them and listening to a one-sided conversation. I’m going to get a little more granular than “answer emails at all hours” because I think it can be misleading. In my experience, no reasonable client or supervisor expects you to answer emails very late at night/early morning unless you have some reason to expect something will be going on. My rule of thumb as a senior associate in Boston Big Law (so hours shifted earlier than NYC) is, if I don’t have a super active deal/active client in different time zone, check and respond very quickly between 7am-1opm M-Th and 7am-8pm on fridays plus check/respond at least every 2 hours on weekend days. My response might not be substantive, but I at least acknowledge receipt/say when I expect to get back with a real answer. I check more frequently and even sleep with my phone on vibrate under the pillow if I have a hot deal that doesn’t need me in the office but might need a quick response or a client doing something time sensitive in Asia. I really miss the days when only big firm lawyers and I-bankers carried around blackberries and other clients checked email at their desks. I used to be able to count on sending well-thought out emails at around 7pm that my clients would digest the next morning instead of getting immediate text-speak responses while they’re in the car and haven’t read a word. +1 — this is exactly what I was talking about in my post above, and also totally agree re: rapid fire half baked responses from clients — you don’t have to prove TO ME that you’re checking email at 7pm! +1 to the first 2 paragraphs. Haven’t been int he game long enough for the third. This thread seems crazy. I work at a boutique firm made up of former BigLaw partners. What if I go on a run- especially in the winter when my phone shuts off in the cold weather and I”m absent for 2 hours? What if I get drunk one night (hey, we are allowed to do that)- should I respond when I’m wasted? What if I am at a movie? Am I supposed to never have a life? I rarely get emails at night that people expect responses for immediately. Often, it’s just people doing work on their own time and sending it when they get a chance. During trials, yes I understand the expectation to respond, but that’s around 5-10% of the time. I’ve never had someone give me flack for not replying immediately. +1. I didn’t have a phone with work email until I was a midlevel, so maybe I was better at judging urgency. I think this is a know your firm/know your client/know the emergency kind of thing. I’m fine answering quick non-urgent questions if I am available. But, I’m not going to drop everything I am doing to respond to every non-urgent email I get. There’s a reason your BigLaw partners are no longer at their BigLaw firm. Feel free to delete if we aren’t supposed to threadjack here ..
I’ve been looking for a professional, fashionable backpack (bonus points if it can convert to a crossbody). My inspiration is the Henri Bendel Jetsetter, which I love but can’t afford. Any ideas? I never had a BlackBerry, I was the only one in my office who didn’t. I have not enabled work email to be on my Android. I can log in through Citrix on my phone, iPad, or a laptop when I am travelling. I only do this if I have to work from home, or I am away on vacation and my assistant texts me that something has come up that absolutely requires my attention. However, I work for my clients only, no “boss” per se (or 100 bosses, depending on which way you look at it!). And I purposely do not have the kind of clients that expect me to answer emails outside of office/market hours. Surprisingly, I have had many clients express admiration and support for this decision. My husband rarely sends emails to his employees outside of office hours (he does supervise people in several different time zones though), but he does expect a somewhat timely answer when he does. Like, if he sends it at 9 pm on Friday, he would hope to have an answer before Monday morning. He is pretty senior, and so he does get some emails that have to be responded to pretty quickly from his boss and boss’s boss. Am in finance, husband is in government. Clients seem to be way more forgiving than co-workers. Finance here. They are surprised when I reach out on a non-work day or during non-market hours. I have a work phone and we definitely get a talking-to if we send late night/early morning emails unless it is an actual emergency (whether it’s health related or issues managing a construction site, etc). One of my coworkers sent our bosses an email at 1am and then later at 7am. Our boss got so concerned that he assigned him more staff – nobody should be working such that they have no sleep. And yes, we are in the business of saving lives. You lawyer-people are in a weird alternate universe. Holy crap, this reminded me how crazy we are. Every day for the last ~3 weeks I have sent at least one email every 4.5 hours. So maybe at 3 Am and again at 8. or 1 and 6. Someone being concerned about me would be unfathomable. I sent non-stop emails (necessary) from 7 AM to 4 AM earlier this week, and then when I signed back on around 8 AM, the partner asked me why I hadn’t sent something out, haha. huh. I routinely get emails from colleagues at 2 AM, 4 AM, etc.. and no one is giving anyone extra staff. Also in the life-saving biz. It ain’t just law! I left a consulting firm where people would frequently brag about waking up in the middle of the night to answer non-urgent emails. They weren’t paying me nearly enough to put up with that. The Wall Street Journal had a very interesting article about this – basically, people are either segregators (prefer to be intensely focused on work while at work and entirely signed off when not at work) or integrators (prefer to toggle back and forth fairly seamlessly between work and personal stuff all the time). I’m definitely an integrator. Understanding your personal style in this respect can really help you figure out how to set boundaries when it comes to after-hours work email – I don’t need strict time limits and I’m not bothered by getting email at odd ours. There are times and places where I don’t check email (at church, at a meal with a friend), but I’ll definitely use my 15-minute walk to tennis practice to knock off some calls (for example). I’m at a biglaw firm but am technically staff. I have a blackberry that I typically check once or twice in the evening and a few times a day on the weekend. If I’m on something with a big deadline I’ll check it more but typically I don’t check it past 9pm. I’ve been lucky enough to be staffed on cases where the team is fine about not receiving a quick night/weekend response. I hardly receive night and weekend emails. I’m sure there are teams where being more responsive is expected and I’ll have to reassess. I work in a client-facing managerial role in finance. I check work email roughly every ~60-90 minutes after hours and 3-4x a day on weekends. I don’t have my iPhone ping or buzz when a new email comes in, though; that makes me crazy! I don’t expect immediate replies when I email my direct reports after hours, but I do expect them to check in occasionally in the evenings and weekends, so I’d be disappointed if I didn’t receive a reply from them that same evening or weekend day. I generally stop checking after 9 PM unless there’s an emergency or something big going on, though. My husband wakes up around 4 AM for his job, so we tend to get in bed pretty early. My boss knows this and is generally pretty understanding that I’m offline after 9 PM. TJ — A very unsettling thing just happened. I’ve been seeing the same aesthetician for a decade now. She is an older woman (69 yo) who divorced, never had children, and was living the single and fabulous life on her own. We became close. Over the years, she spoke to me about her childhood, ex-husband, her brother who moved across the world, her friends, and so on. In turn, she asked me often about my relationships and would offer her sage advice and ask to see pics. In summary – she was my friend despite the big age difference (I’m 35 yo). I had a standing bi-weekly Saturday morning appt where we would gab while she did my face and it was a great time. Well, for the past week or so, I’ve been trying to get in touch with her to move this Saturday’s appt up by an hour. Texts, emails and voicemails have gone unanswered. Her phone appears to be off and now her voicemail is full so I can’t even leave a message anymore. It started to get odd. I went out on a limb and contacted the photographer who shares the workspace with her. (Her “spa” is a room in a house that’s been turned into a business location). The photographer called me right away with awful news. He told me she passed away the Sunday before last. She went in for a small procedure and never made it. I am shocked and also really hurt. I’m in my office and tearing up behind my desk. Can someone tell me what is appropriate here? She did not have a ton of family or children and so her clients were her friends. I feel awful about this. I don’t know what I’m asking here, but this has really hurt my core. As I mentioned, I’ve known her for a decade and she always gave me motherly advice and I looked forward to seeing her every other week. I am stunned. I’m so sorry about your friend. Could you search for an obituary or announcement? That might tell you whether there’s a service you could attend or others who you should reach out to. I did and she was cremated last week. The neighbor also told me that when he broke the news. He also seemed stunned and sad by it and said he would let me know if her ex-husband (who is handling all the arrangements) will be planning a memorial service of some kind. That’s terrible, I’m sorry. Can you find out who is her closest family? Send flowers plus a condolence letter that details your relationship and how she touched your life. It would be nice for her family to hear from friends like you. I don’t really have an advice, but I am so sorry for your loss. That would really shake me up too…is there a front office or something you could contact? Maybe find out about funeral arrangements or whatnot. For those of you who don’t expect immediate responses, do you make that clear? Either in a conversation or in that particular email? I feel like there can be so much miscommunication on issues like this. I know I appreciate it when someone sends me an email late at night or on the weekend that explicitly says it can be handled in the morning. I will use a blue flag, and/or lead the email with “you can do this tomorrow, but I’m wondering…” (if I”m on my phone and can’t use flags). Echoing the chorus of “this is why I left Biglaw.” Back in my Biglaw days, I once got in trouble for not responding to an email while I was at the grocery store at 8 a.m. on a Sunday. Another time, I was responding to emails in the bathroom line at my best friend’s wedding. Life is way, way too short for that nonsense. I don’t even have my work email set up on my phone. I’m at a nonprofit and the only people who work outside regular office hours are the CEO/higher ups. I’m poor but at least I have work-life balance? Yup – this is me. I’m at a NPO – honestly even my boss doesn’t work outside regular office hours unless he’s doing flex time or there’s an emergency. Although he’s a bit ADD, so he may shoot me an email about something just so he doesn’t forget. No response necessary outside of office hours. I get push notifications on my phone for work email, and will check if something unusual shows up – like an email from the boss on the weekend. I’m poor – but I have a pretty good work-life balance. I’m Biglaw and currently working on fast moving related cases in Europe, the US and Asia. I get emails constantly from colleagues in all of those places. I wake up to respond to emails several time a night. If I don’t respond during the night it really slows things down because conversations take days instead of hours. It’s so hard to coordinate people in so many places with large time lags. That said, I’m insanely sleep deprived and stressed. Not fun. I had similar experiences in NY big-law. The partners in my small, specialist group, tried to be accommodating of that, and wouldn’t put the same people on California and London deals. Or if someone had a lot of cross-time zone deals for a period, then they would try to shift that. But a lot of big law is speaking up for yourself and hoping someone is reasonable enough to listen. Can you ask your assigning partner (or a mentor if you need more guidance on who to talk to) that once your work finishes up on these matters, if you can focus on one time zone? Going to take a stab at this being patent law and I find this hilarious because in all my years I have never had European associates who regularly answered emails after dinner time, on a weekend or on a vacation. Why twould I wake up at 3am to email them knowing they think that’s crazy? The European associates do respond to emails at off hours. We routinely have calls at bizarre times to accommodate the group, too. They’ve been on calls at 3 AM because that is the time that works for an expert in Asia. If anything, I get lucky because the client is in my time zone and people try to accommodate his schedule. Healthcare IT, rather than law. I get my email to my iPhone. Most email, I don’t feel the need to answer. However, there are emails, usually automated notifications from systems, that I get that tell me that systems aren’t communicating for some reason. Maybe something has crashed, maybe there are mismatches in names. Something has gone wrong, and it has the potential to negatively affect patients. Those, I have a responsibility to answer as soon as I can. Healthcare IT (and Ops) also. Name mismatches…Bane of my existence! If you’re in DFW lets commiserate. I went from big law to small law (litigation in both) to in-house at a not for profit. In big law, I slept with my blackberry on my pillow and got chewed out (including being called “lazy”) for failure to respond to emails immediately, regardless of time of day. (The “lazy” incident stands out because it was in after weeks where I spent 14-16 hours/day in the office, and then worked from home when I got home, and I think the email I didn’t respond to quickly enough was received while I was in transit to work…) I remember ducking out of the bar at midnight on a Friday to answer an irate call from a senior associate on a snowy sidewalk, and the feeling of stomach-sinking panic one Saturday night when I realized I was on a boat without my blackberry. I remember hearing a paralegal being chewed out for not answering her emails fast enough on a Saturday when she was *in the hospital,* etc. etc. Gross. At smaller firms I was pretty available, but never dropped what I was doing to respond immediately on evenings or weekends — because I managed my own caseload, I could almost always manage when I had to be working. There weren’t nearly as many “emergencies.” And I didn’t get paid nearly enough to work all weekend. I did refuse to continue to work with one client who kept manufacturing emergencies and creeping into my life (while also refusing to take me seriously — sexist old jerk!). The big difference there was the control. I was writing the brief/arguing the motion/taking the deposition, so I (largely) controlled what needed to be done and when. In house, now, I check my email a few times a night, and respond either if something seems crucial or if I have the time and inclination to deal with it — if baby is asleep and the house is quiet and I want to resolve the issue, why not? I don’t expect outside counsel to work all hours of the day and night, though I am frustrated when I don’t hear anything for three or four days when the answer should be a simple yes or no. At the very least I’d appreciate, “I’ll look into the ___ issue and let you know!” or whatever within say 24 hours. Wow, big law lawyers are crazy! I will add to the chorus of So Glad I’m Not in Big Law. I am a solo and I rarely check my email after 5:00 or before 7:30 am. I almost never check it on the weekends. My practice has not suffered, although I am obviously not running huge deals. Unreasonable or demanding clients get fired. I didn’t start at $160k but I have built a solid practice (and have won trials and appeals against the armies of Biglaw attorneys). And now, I am off to walk the dog and binge on House of Cards for the remainder of the evening… and will check my email when I get to work in the morning! I am a mid-level associate in Big Law and frankly I love it. The people I work with are people I genuinely like and while clients can sometimes be completely unreasonable, I have found that is the exception rather than the norm. On weeknights when I am not expecting anything, I generally check every 2ish hours and before I go to bed (one partner I routinely work with likes to email between 10 and 11:30 after his kids go to bed and if I am up I will respond; if not, I usually acknowledge the email around 7 and give a substantive response before I head in to the office (if needed) or once I am in the office). On weekends where I am not expecting anything, I generally check 3-4x a day. When I first started, my blackberry (soon to be iPhone) was glued to my hand, but as I am several years more senior, I am much more relaxed. On a deal where I am expecting documents/emails, etc., I tend to keep my blackberry with me and check every 15-30 minutes (whenever the flashing red light goes off) on weeknights and every hour or so on weekends. That being said, when I am out of town, cooking for my in-laws, or otherwise have plans (dinner with friends, etc. ), I tend to let people know that I will be out of pocket if it makes sense in the context of a deal (e.g., if the purchase agreement comes in, I can take a look but will be unavailable Saturday afternoon/evening). After-hours and weekends I generally acknowledge emails and confirm timing of a response (later today, Monday, etc.) depending on the urgency of the matter within the parameters mentioned. I answer emails at night and on weekends but have started telling my boss that I’ll answer the next business day because he works 7am to 8pm most days plus weekends and sends snarky emails. Plus if I try to answer and get one little detail wrong from memory he zaps me for it. Previously I prided myself on quick response but now I’m over that. Should clarify. Not law. Not >$125k a year and no one else at firm works those kind of hours. And expectations of that type of hours not disclosed at interview. I’m not in BigLaw but I’m a midlevel manager in a business that does, at times, require paying attention to emails during off hours. It’s not out of control and most of the staff understands that t’s part of the job. What drives me most nuts though are the people that insist on sending emails during off hours that don’t need to be read until the next business day. WHY is it so hard for people to put those on delayed send if they’re not expecting a response right away? It’s supremely selfish to send non-essential email on evenings and weekends when your staff doesn’t have the option of ignoring their phones. People just want to deal with things “while I’m thinking of it” but if they don’t put that email on delayed send, the recipient HAS to read it and often feels compelled to respond back ….. and there goes any chance of mental downtime. However, I am not in law – I am in corporate America (engineering company) where the expectations are that you work during working hours. I will sometimes check email on the weekends but my boss has never sent me anything on a Saturday that he expected to be addressed immediately – it’s just that he thought of it then. I do not answer work email at home, on the weekend, or on vacation. In fact, if I do, I will be (and have been!) scolded by my manager. The company I work for is very big on work-life balance, to the point that my VP has been known to tell me to go home already (at 5:45 pm, not 8). To you folks who are on a leash 24/7. Is the big money worth it? When do you get to enjoy the rewards of your labor? I guess you must think it’s worth it. It remains to be seen how long you can do this before you have a physical and/or mental collapse. Maybe because I work in tech and not law but if I see a non emergency email at 3am my first thought is that this person cannot manage their time well. Let me add my experience as my name indicates – in-house in Europe. I work crazy nice house – like 8:30-4:30, and only until 2 on Fridays. And yes, somehow this is considered full time. In exchange, I am more than happy to have my work e-mail on my iPhone. I have starred certain people (like our CEO), so that if an email comes up, I get a notification. Otherwise I check it…every hour or 2 and before I go to bed/when I wake up. I also check it regularly during vacation. I am totally, 100% fine with this trade-off! As for outside counsel, I would never send something at 2 AM and expect a response (well, I would never send anything out at 2 AM anyway, cause, sleep), but I DO expect a response in a timely fashion – regardless of where they are located. Which may mean that a US counsel is responding late her time. Our outside counsel gets paid a lot more than I do to be available, and in my mind that is the trade-off they have made. If we are working on a death warrant, then everyone needs to be available on weekends, evenings, and early mornings. And no one working a death warrant makes 160 a year. But that is the only situation that should require constant work and availability. I find it ironic that many of the partners/powerful people demanding 24/7 email responsiveness never had to be in their subordinate’s position given smartphones aren’t even 10 years old. No job worth any amount of money is worth having to subjugate oneself to a phone from 4am-midnight seven days a week for a time period longer than a few weeks in an emergency situation. All you have in life is time, really. I want to throw my two cents in the ring. For reference, I am a mid-level associate in the DC area. 1. The partners that I work with who demand answers immediately are the same people who started their careers in the 70s and 80s, and didn’t have to worry about answering emails at any time of day. They had other concerns, but they also had the luxury of sleeping and knowing that someone isn’t demanding a response at 3AM. These people seem to forget that fact. 2. A lot of people are saying something to the effect of “late night is when I do my work.” That may be the case, but I am not seeing typos, emotionally charged language, or just general sloppiness in an email sent at 10AM. You may think you are doing good work, but there are errors. 3. For the people saying “I am paying you to be available at all hours:” don’t confuse quantity of time with quality. You may think you want a response at 3AM, but really, I think you would like the thought out and measured response at 9AM a lot better. Maybe it is just my clients, but clients generally don’t love paying for poor quality work, so don’t expect associates to turn out crap just because you are impatient. 4. As for weekends, usually people know in advance if we are going to need to work weekends. On the flip side, I will mention if I am going to be unavailable on weekends. It is a nice thing to do, since it does not leave me or the partners expecting responses when none will be forthcoming.